Pregame, 2011 Western Michigan game. 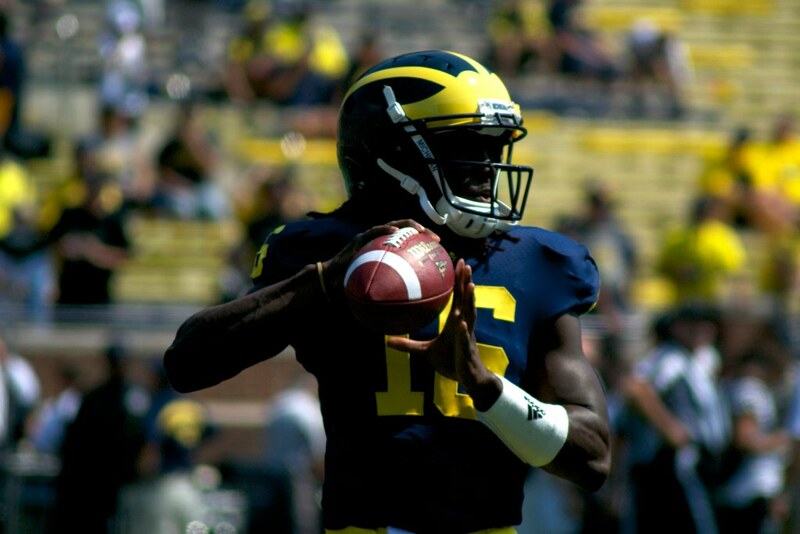 Shoelace called into the Dan Patrick Show this morning to talk about the combine, his time at Michigan, and his hopes for his future in the NFL. He also negotiates a deal to trade his autographed shoe from the combine in exchange for Dan's vote for the cover for the 2014 NCAA Football video game. Take note Buckeyes: Only trade autographed swag once you're done playing in college. Good stuff right there. This interview illustrates how far Denard has come. He's clearly still not entirely comfortable with being a rockstar, but he's found a way to live with it and embrace it. Two years ago...no way would he have stuck it to Patrick like that.